To build regional projects that will provide free ramps across Texas. Have you ever changed a person’s life in a single day? 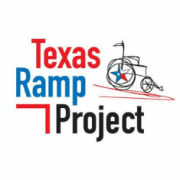 The Texas Ramp Project does it hundreds of times a year! We build wheelchair ramps for disabled or elderly people who can’t afford to buy one. In a few hours on a Saturday morning, we give these folks the freedom to leave their home again-the home where they want to remain but whose steps have imprisoned them. Would you recommend TEXAS RAMP PROJECT?